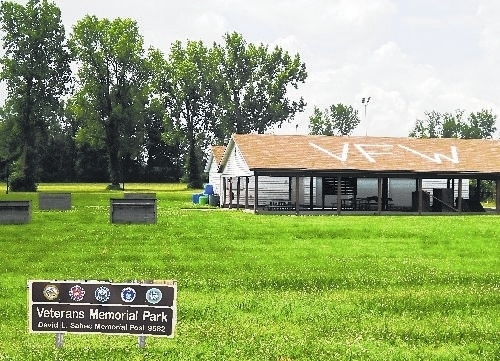 VANDALIA — VFW Post 9582 invites Veterans and their families to the Veteran’s Air Show Picnic and Post Open House. Come enjoy the United States Air Force Thunderbirds as they soar ever so strong over the Veterans’ Park. The Veterans’ Air Show Picnic is a great time and a fantastic location. On Saturday, June 20 from noon to 5 p.m., there will be a variety of activities for young and old to enjoy including Horseshoes, and Corn Hole. Hamburgers and Cheeseburgers are only $2 each, while hot dogs and corn on the cob will be available for only $1 each. Can beer will be two for $3, plus water and pop are only $1 each. Check out the Post which last year celebrated their 40 year Anniversary. Located at 4170 Old Springfield Road, Vandalia, VFW Post 9582 is a great location to bring the family for fun and affordable great food. For more information call (937) 890-5055. Please feel free to bring lawn chairs but please no personal coolers. Parking is free. The Park is also open on Sunday, June 21 to watch the Thunderbirds soar.